for their vacation needs. Jamaica Villa rental is a booming business and there are plenty of Jamaica villa to chose from. The Jamaica villas at Beach House Villas are designed to offer the best in modern comfort while maintaining a charming island flare that Jamaica rental villa properties cannot. Think about it, new world comfort combined with the perfect amount of Caribbean charm. A beautiful tropical paradise escape; crystal clear, warm waters, pure white sand, and sunsets that seem to melt into the ocean, experiencing all of this while never sacrificing the ease and comfort of new world luxury. This, combined with unbeatable location and unheard of privacy, make these Jamaica villa rental opportunities unique amongst the many others that Negril has to offer. By choosing our Jamaica villa, you are guaranteeing yourself a Jamaica villa experience that cannot be beat. It is impossible to beat the Beach House Villa experience. 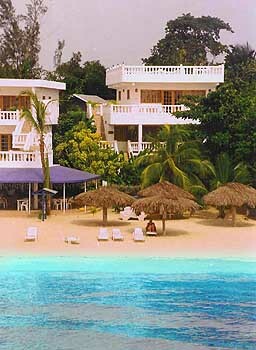 The privacy, the location, the comfort, the charm, all help to make Beach House Villas the best choice in all of Negril!